The Company is “highly spoken of in all quarters”. They are accomplished exponents of the light and airy side of the histrionic art”, and we all do love to be taken out of ourselves, to have a smile brought to our lips, what with the nights growing longer and dreary winter – with its storms and drizzles - waiting, as if to encircle us, even here in the county’s foremost health resort. But to keep winter at bay, the proprietors of our Public Buildings have laid on entertainments. They have spared no expense, striving to provide a programme to delight one and all. And what a disappointment it must be – to their staff, their shareholders, and of course most of all to that “distinguished set of entertainers” - that the Hall was , to put it delicately, “far from well filled” for tonight’s opening. Seldom do we see such a splendid troupe in these parts. 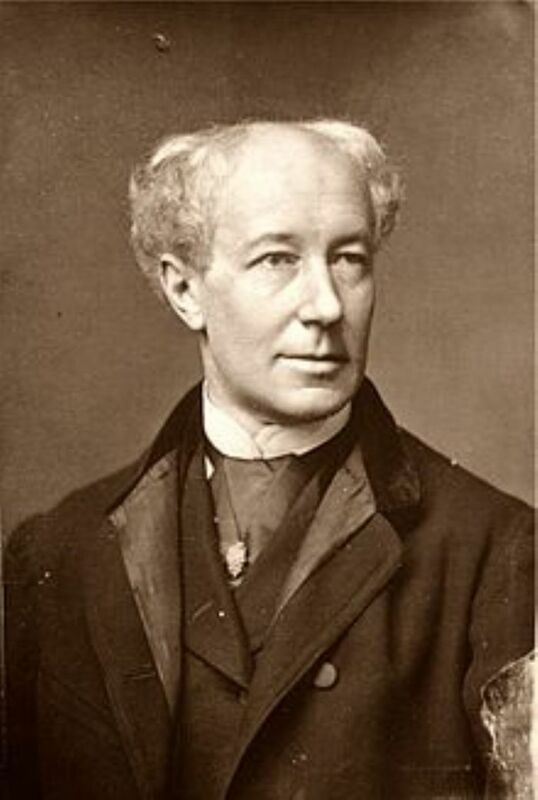 We have been granted the privilege this week of welcoming the well-loved Mr William Farren junior Also from the London Haymarket come Mr Ben Greet and Miss Emilie Grattan, and they are joined by Miss Constance Abbott, “of the Strand and Gaiety theatres”. And take note: these are persons of substance. Mr Farren needs no introduction, but Miss Abbot is sister to “a well known Cornish clergyman”. 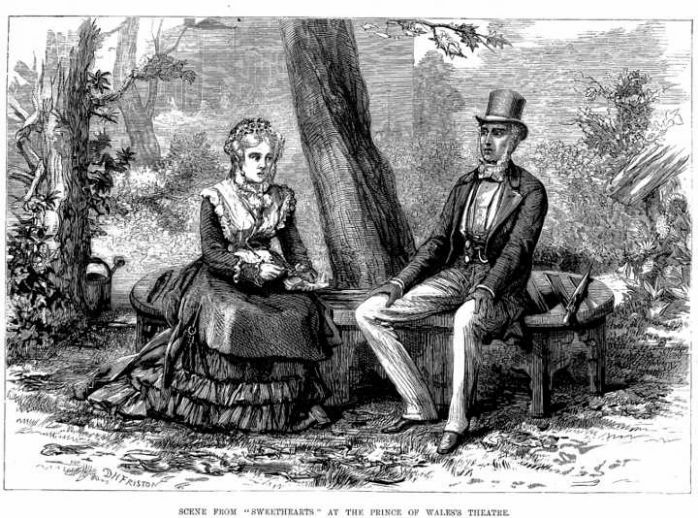 Miss Grattan was “one of the original Pirates of Penzance.” And most impressive of all, Mr Greet has spent his summer performing “pastoral plays in the parks of some of the leading families in the country, at some of which the Prince and Princess of Wales were present”. The troupe offers not one, but two selections each evening. This evening, for the opening night, “the curtain first rose upon Sweethearts, one of W. S. Gilbert’s delightful and fascinating comedies in two acts”. How we laughed at Spreadbrow, the part so ably and forcefully sustained by Mr Greet. How we sighed with sweet Jenny Northcott, played by Miss Abbott, in her belief that “her love had been slighted”. And how can we forget Mr Scott, of the Woodland Players, bringing life to the rustic witticisms of the gardener? After the interval, and a “choice selection of music on the pianoforte”, came Uncle’s Will, with Miss Grattan showing her mettle as the “high-spirited young lady” Florence Marigold, encouraged by the will in question to consort with her “provoking and tantalising male cousin”. And of course, there is a wicked lawyer, Mr Barker, who is set to keep the £50,000 bequest should the couple fail to marry within a year – all but a week of which has, of course, already passed before the stage action begins. By turns hilarious and, when his designs are at last thwarted and the quarrel made up, “crestfallen”, Mr Farren junior excels in his role “with ease and grace”. And so, all lovers of art, all those dreary moaners who complain of do-nothingness staring them in the face on a winter’s evening in our Borough, should “feel thankful that the little Comedy Company has come”. Should feel thankful, pay their half crowns, their shillings, their sixpences, with good heart, and come along – not just once, but again when the programme changes and the actors don new costumes and take on new roles for the weekend. You may even consider their pleasure a work of conscience, for proceeds on two of the nights will go to the Exeter relief fund, following the terrible conflagration but a fortnight since at the Theatre Royal. So, people of Penzance. Show your appreciation of the finer things of life; of sophisticated metropolitan-style entertainment; of the actors that have but recently entertained Great Families on their sunlit terraces. Brought to you now, in St John’s Hall, courtesy of the management of the Public Buildings. And next week? Next week, we hear, there will be more! Quite apart from the scenery and costumes, straight from London, who could fail to be tempted by The Ladies Battle, Love’s Secret, and Mr J K Jerome’s Barbara?